19 February, in countries influenced by Chinese culture, is a day devoted to honoring Kuan Yin, goddess of compassion “ she who hears the cries of the world and restores harmony.” She is a goddess for the Taoists and a bodhisattva for the Buddhists but she represents the same values of compassion for both faiths. There has been mutual borrowing of symbols and myths between the two groups, as well as an identification with Mary in countries with a Roman Catholic minority such as Vietnam and with Tara among the Tibetans. 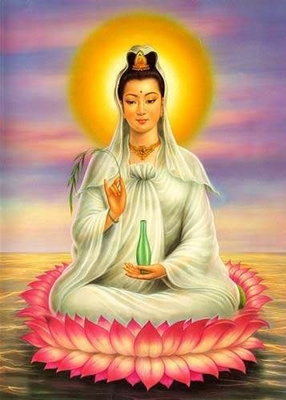 Thus as we mark 19 February to honor Kuan Yin, we also develop a new spirit of cooperation for the creation of a cosmopolitan, humanist world society. Social harmony is inseparable from the values of respect and understanding, of goodwill, and of gratitude toward one another.